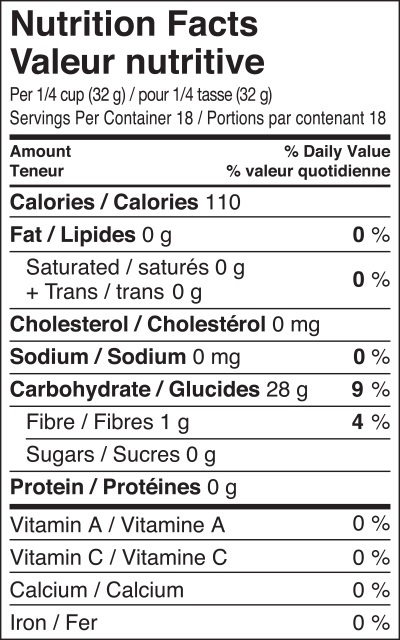 Arrowroot starch is gluten free. It’s an excellent substitute for other starches and flours when used as a thickening agent. Arrowroot starch is neutral tasting and freezes well. In a convenient re-sealable pouch! Natural product. Non-GMO. I have been using Namaste Arrowroot for different ways. I cooked Italian style eggplant chips and curry with this Arrowroot starch which both were very delicious :p I also tried to use it making some makeup items e.g. setting powder and bronzer. I feel good as it is healthy. I think it is an excellent product with a reasonable price. I definitely repurchase. Highly recommended. I was looking for a substitute for GMO cornstarch. 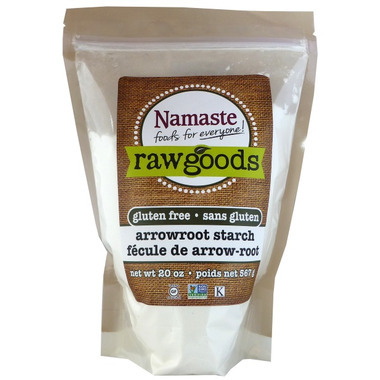 Namaste Arrowroot is the perfect solution (for non-milk or cream-based recipes)! My apple crisp is delicious AND it's healthier now. Very good product. Good price as well. I use it to make home made deodorant. I bought this to add to my DIY make-up powder foundation. Works really well!